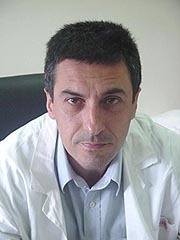 Demetrios Kouretas is Professor of Animal Physiology – Toxicology at the University of Thessaly, Larissa, Greece since 2007, and President of the Hellenic Society of Toxicology. Since 2015 he is the Director of the Graduate Program in Toxicology, University of Thessaly. Dr. Kouretas is member of the European Commission Council of Experts (risk assessment of chemical threats). He studied at Department of Pharmacy, University of Patras, Greece (B.Sc.). He was awarded a Doctorate in Biochemistry from the Department of Chemistry, Aristotle University of Thessaloniki, Greece (1989). He completed postdoctoral studies at the Department of Molecular Pharmacology at Harvard Medical School, USA (1990-1992). His research interests include molecular mechanisms of antioxidant activity of plant phenolics, adaptation in exercise in human (study of redox and molecular mechanisms involved), functional food development and action in humans. He is Associate Editor in ‘Food and Chemical Toxicology’ and Academic Editor in ‘Oxidative Medicine and cellular Longevity’. Dr. Kouretas has an h-index 37 and around 5000 citations in his scientific publications. Born in 1962, he is married to Charitini Nepka MD, PhD, Physician in the University Hospital of Larissa, and has a daughter born in 1995, student of Medicine School, University of Ioannina.